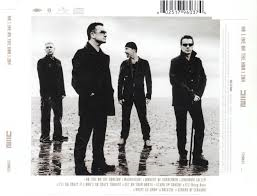 U2-Bono, Adam Clayton, Edge, and Larry Mullin Jr., released a new CD in multiple formats on March 2, 2009. The image of the album, No Line On The Horizon, is one of hope and optimism in a time of chaos, (interview on Good Morning America 3/6/09). U2 has always been a band of the people, both on and off the stage. Thirty years of twists and turns on the road took them to the Good Morning America Show (ABC) broadcasting from Fordham University Friday. U2 still has plenty to play and say. Bono said in an interview with Kate Snow that they have many songs written and hope that they will remain a line on the horizon with no end in sight. “When we came out with our first record, Boy, we couldn’t get played on commercial radio,” Bassist Adam Clayton recalled. “And it was the colleges that kept that record alive, and we would go to every college and do interviews (, MTV interview 3/6/09).” Snow mentioned that the way music is listened to now is in a downloading of selected songs. Bono said; “that the recording is designed as an album and works as a beginning to an end.” People can listen any way they want, however, the nuance which can be heard and felt in lyrics and music would be missed in just sampling the CD. U2 is back and you too can go into the sound. Paraphrased from some of the lyrics, “I am gonna’ shout it…the future needs a big kiss…get on your boots…laughter is eternity if joy is real…let me in the sound…flowin’ down…wanna’ drown… let me in the sound. The reviewer went in, felt it, and it felt like blues, gospel based honest rock and roll. Roll with U2! This entry was posted in Music, Music Review, Performance, Review, Writing and tagged Captain Ken's Cloud, Ken Pothier, Lyrics, Music, Music Review, U2 No Line On The Horizon, writing. Bookmark the permalink. 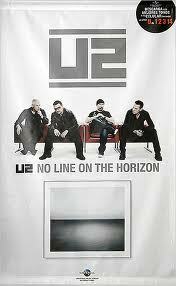 The music and lyrics on ‘No Line On The Horizon’ is as relevant today as in 2009!